Notwithstanding the many interviews given by Viktor Bout's Russian attorney, Alexey Binetsky, to the effect that his client would be vindicated by the US Supreme Court, as of November 30 there has been no petition for a Writ of Certiorari filed on his client's behalf. Binetsky confidently states that Bout's case will be reversed, and remanded back to the US District Court, for a new trial. Unfortunately, though he has worked in the United States, he may not completely understand what he is up against. First of all, his client has no appeal as a matter of right; he exhausted his appellate rights when the Second Circuit affirmed his client's trial court conviction and sentence. 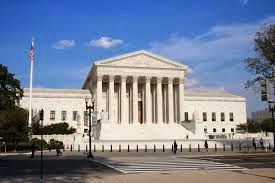 The number of Certiorari Petitions that are accepted by the Supreme Court of the United States are but a very small percentage of those filed, and frankly, the Second Circuit was less than impressed by his issues on appeal. How is it that his counsel believes he will be successful ? Rumors are that the claimed information will be especially damaging to the United States Government. So, we anxiously anticipate the newly-discovered evidence that his Russian counsel has boasted will cause a reversal of his conviction. He has mentioned the name of a prominent national US law firm, but thus far, we have not seen any indication that it will be doing the heavy lifting. When will Bout's US Supreme Court case be filed ? We're waiting. WHAT WILL HAPPEN TO THE FARC'S NARCO-PROFITS IF IT SIGNS A PEACE TREATY WITH COLOMBIA ? 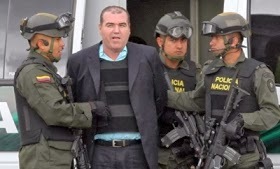 News about an upcoming sentencing, early next year, of a major Venezuelan drug trafficker, in Federal Court in Miami, reminds us that his operation picked up its cocaine from FARC-controlled territory in Venezuela; FARC soldiers actually loaded the drugs on his aircraft, and were paid handsomely for their labors. 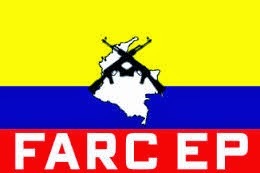 What about the billions of dollars that the FARC has acquired, through its lucrative narcotics business ? Much of that money has disappeared into the tax havens of the Western Hemisphere, notably Panama. Though some has been obviously spent for "operating expenses," the bulk of it is the 300-pound elephant in the room. FARC leadership is obviously not inclined to disburse it to the victims of its 40-year campaign of terror; so what will become of these illicit accounts ? Some of the many millions have reportedly been disbursed by FARC political agents into the countries of the European Union, where pseudo-diplomats still seek allies among Leftist groups and organizations in Western Europe. What will become of that illicit wealth ? Will FARC commanders appropriate it for their own use, and abandon their participation in reform in Colombia ? We cannot say, but all that money will certainly tempt those with account authority. In my humble opinion, it should be disgorged to the Government of Colombia, so that it may compensate the next of kin of the dead, and to repair their lives, as best may be done. Unfortunately, greed will most likely win out, and the money will not be repatriated. It will disappear, as KGB slush funds did, when the Soviet Union fell. Therefore, it is imperative that these accounts be identified, and seized, while the FARC continues its negotiation. Some accounts are certainly known to US law enforcement and intelligence agencies, who surely monitor their activity, to glean information about terrorist operations. It is now time to freeze those accounts. Who knows, such actions may even accelerate the peace talks. 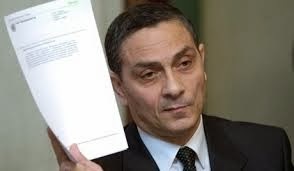 Alexei Binetsky, Viktor Bout's Russian attorney, in an interview in Russia, has declared that Richard Chichakli twice refused to accept a plea bargain, from the United States Attorney, in his pending criminal case. He claims that Chichakli stated that he wanted to exercise his right to a jury trial, though he does not disclose how he came by this information. (1) First, an agreement which would result in a Guidelines sentence of 38-42 months. (2) Second, an offer of a sentence of approximately one-half of the original offer. Richard Chichakli has long asserted that he was indicted by the United States as a form of revenge, for his support of Viktor Bout, after Bout's arrest in Thailand, which Chichakli alleges resulted in a delay in Bout's eventual extradition. That is why he has reportedly sought to bring many of the details of Bout's arrest to light in his own trial, but the level of objective proof required to sustain a defense of Prosecutorial Vindictiveness is rarely achieved. We shall continue to follow the Chichakli trial, and to report back to our readers all developments, as they occur. (1) Chichakli's motion to compel the production of Adam Szubin and Dale Thompson of OFAC was DENIED, because the Court rules that he could not have these witnesses give opinion testimony regarding the principal issue of the trial. (2) His motion to compel the Government to produce Department of Justice employee John Cox III, to testify on his alleged statements to the effect that Chichakli could leave the US in 2005, was deemed relevant, and GRANTED. 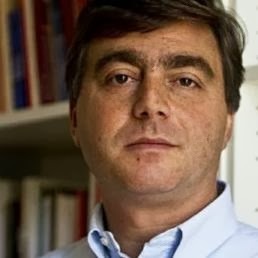 (3) His motion to compel the production of an FBI Special Agent, Dennis Brady, to testify about the searches of Chichakli's residence, was GRANTED, as being relevant. (4) His motion to recall Molly Miller of OFAC, who previously testified, to cover "inconsistent and contradictory statements" was DENIED, as Chichakli had already had an opportunity to do so during cross-examination, and he could cover it during his summation at closing. 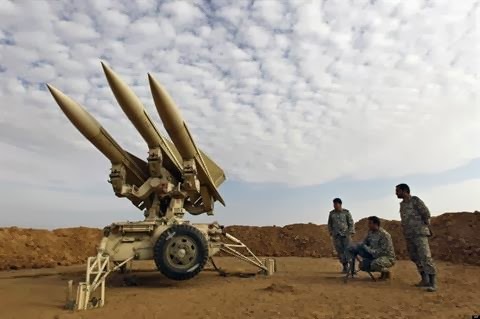 (5) The Government's motion to preclude two witnesses from Sharjah, who will testify about Chichakli's role in Samar Air operations, was DENIED on grounds of relevancy. (6) The Government's motion to preclude testimony from Johan Perelman, Peter Danseart, and Sergio Fenardi, who would testify about their findings in UN reports, was GRANTED, as the testimony is inadmissible hearsay, and also irrelevant. 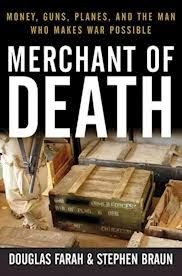 Douglas Farah, A prominent journalist who is the author of Merchant of Death, which is a profile of Viktor Bout, has moved to quash a defense subpoena to testify in the criminal case of Bout associate, Richard Chichakli, whose trial is presently in progress in New York City. Chichakli had previously sought to have Farah's book, and other media material, admitted at trial, but the trial judge denied his motion, on the grounds that all the material was hearsay, on November 18, 2013. Mr. Farah's attorney, in his memorandum of law, asserted that his testimony, and any written materials that he may have, are barred by the qualified reporter's privilege that exists under Federal law, which only requires journalists to testify under strictly limited circumstances. Generally, the First Amendment to the US Constitution, and the New York State Shield Law, bar him from testifying in a court proceeding. One wonders why Mr. Chichakli bothered to subpoena Mr. Farah, due to the Court's November 18th ruling which demonstrated the Court's position on the material, as hearsay; the Court will most likely grant the Motion to Quash. Is he seeking issues for a possible appeal, or is he just fixated on his OFAC designation, and wants the jury to understand his belief that it was improper ? Christina Kitterman, the former Rothstein law firm associate charged* with posing as the head of the Fort Lauderdale office of the Florida Bar**, in order to deceive investors in Rothstein's Ponzi scheme, has asked the Court to order that Scott Rothstein be produced at her trial, as defense witness. Kitterman is charged with Conspiracy, as one of the minor players in the billion dollar Ponzi scheme, and she has pled not guilty, forcing the Government to prove up its case at trial. The trial judge has granted that request. She will be required, under the rules of the US Marshals Service, to post an advance deposit, to cover the costs of transport, housing and security for Rothstein, which some court observers estimate could cost $20,000 . He has reportedly been in the Witness Protection program (WitSec) ever since he testified against some individuals who are reputedly tied to organized crime, specifically the Mafia. Rothstein has not been seen in public for years; those closed depositions, for attorneys only, do not count. Judging by the filings in the case, her attorney has asserted that she cannot be convicted of conspiracy, using Rothstein's prior deposition testimony, and relevant law. Her Rule 15 Motion, to take Rothstein's deposition prior to trial, was denied. 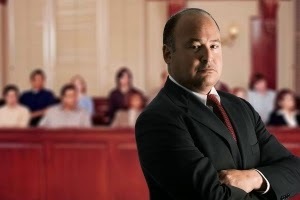 The federal rules only allow pre-trial depositions under exceptional circumstances, and where the Court finds that they are in the interests of justice. Rothstein's testimony at trial, on behalf of the defendant, could be impeached by the US Attorney, who accepted the recent statements, made by his wife Kimberly at her sentencing, to the effect that he was the intellectual author of the jewelry thefts she orchestrated, and carried out. His testimony at this trial could affect whether he gets that much-desired sentence reduction, from the 50 years he is currently serving; Stay tuned. *Case No. : 13-cr-60220-DTKH (SD FL). ** Public records show she is Adria Quintela. Your ties to a Ponzi scheme, even when they do not raise to the level of criminal activity, can result in all your business being examined under a microscope, and any flaws that are found may prove costly to you. Although he has not, as yet, been charged with a crime, one of Ponzi schemer Scott Rothstein's law partners has run into difficulty on another plane. Russell Adler, who was a partner at the Rothstein law firm, has been suspended for a period of 91 days by the Florida bar, which regulates attorneys in the State of Florida. Adler allegedly made some material misrepresentations of fact, in his purchase of a residence in New York City. He made the purchase with 100% financing, which was prohibited, and failed to disclose this fact. He also stated that he had a substantial partnership interest in the law firm, which was untrue. If you think that the 91-day suspension period is but a minor inconvenience, think again. Any suspension for a period in excess of 90 days, does not automatically expire; he must prove rehabilitation, and could be required to complete all or part of the exam that lawyers must successfully complete to be licensed in Florida. 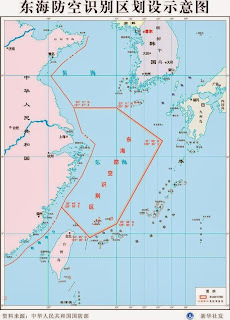 The Ministry of National Defense of China has announced the creation of an East China Sea Air Defense Identification Zone (ADIZ), which maps show as a vast area extending far out past Chinese territorial waters, and including the Japanese-held, but disputed Senkaku (Diaoyu) Islands, north of Taiwan. This action, which Japan has objected to, greatly increases the risk of military incidents between it and China, and could easily provoke a return to a Chinese embargo on the export of heavy metals, without which Japan's high-tech manufacturing industries cannot exist. (1) Must file a flight plan with Chinese authorities. (2) Must maintain two-way radio communication, and respond to Chinese requests for identification. (3) Must be equipped with a functioning transponder, and it must be operated in the ADIZ. (4) Must have aircraft markings that indicate nationality, and tail number must be displayed. (5) Must follow instructions of Chinese authorities, and properly identify themselves, while flying in the ADIZ, or face "defensive emergency measures." 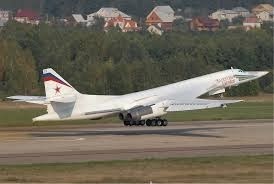 The Ministry of National Defense is the specified administrative agency that foreign aircraft will be required to obey. 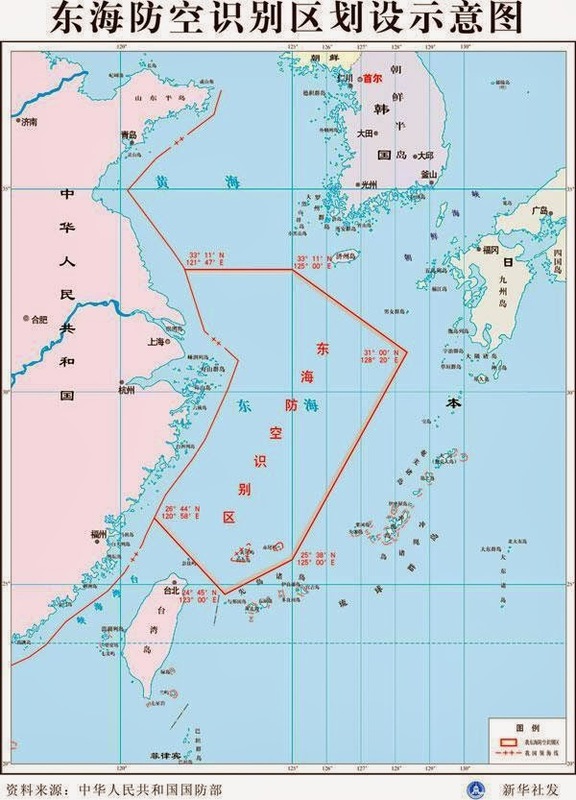 Obviously, there is a high probability that confrontations between Japanese aircraft, either on patrol in the new ADIZ, which abuts the Ryukyu islands, as well as contains Senkaku, will occur. it could also result in close encounters with American, Taiwanese, and even South Korean combat aircraft. It may also affect, or even impede, commercial passenger jet travel transiting East China Sea airspace, en route several countries in East Asia, especially Japan. Under the circumstances, and until and unless the ADIZ is operated by China, with respect for all its neighbors, as well as international aviation, one should raise Country Risk on Japan immediately. If you wondered* whatever happened to the lawsuit, brought by the bankruptcy trustee, against the national law firm that represented and advised convicted $920m Ponzi schemer, Nevin Shapiro, it has been settled, and payment is now due. Though not appearing anywhere in the court file of the US District Court case**, I did find it, buried in the voluminous bankruptcy file: Five Million Dollars, in exchange for a ban on any possible subsequent litigation against the law firm. There was no admission of guilt. The Trustee in Bankruptcy, who was charged with assembling assets, to repay the victims of Shapiro's bogus grocery brokerage company, alleged in the lawsuit that the law firm, and a lawyer at the firm who was a longtime friend of the Ponzi schemer, had facilitated the fraud. He alleged, in the civil action, that they negligently supervised their client, and committed various violations of the Federal Securities laws in connection with promissory notes that they prepared. The lesson that you want to take away from this case is simple; All professionals, irrespective of their responsibilities and duties, should always be alert to the Red Flags of Ponzi schemes, and ensure that they never, never provide professional services to such clients, lest they pay dearly for it down the road. 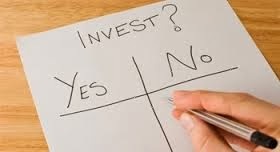 Should they learn that a current client is a Ponzi schemer, they must exit the relationship forthwith, and immediately consult with competent outside counsel, to assist them with an assessment of their potential liability, for damage control, and to discuss self-reporting of their involvement to the appropriate authorities. You prevent reputation damage by not getting into trouble in the first place. ** Case No. : 12-cv-20080-JEM(SD FL). A word of warning: Al-Intaj Bank, which operates in the Palestinian Territory of Gaza, does not have a banking license from the Palestinian Monetary Authority. Apparently, the bank reportedly deliberately refrained from applying for one, because PMA-licensed banks, with retail facilities in Gaza, will not open accounts for certain Hamas-controlled entities; It opened this year. Unfortunately, this also means that Al-Intaj has never been required to meet minimum capitalization requirements. 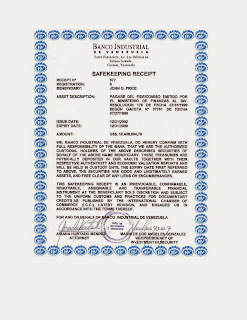 it is not known how, or even if, the bank has established relationships with financial institutions abroad, but doing business with an unlicensed bank could have serious consequences regarding risk, and may itself violate either banking regulations in your country, or have an adverse effect on your insurance coverage. 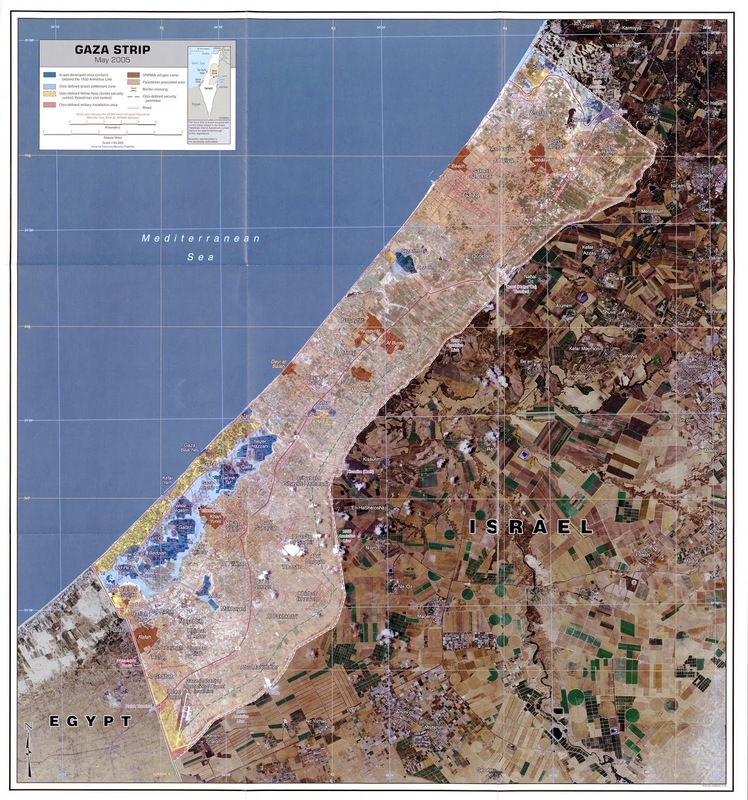 It is always prudent to avoid unlicensed entities, but in this case, where accounts for Hamas-controlled entities exist there, you want to be extremely careful to avoid any terrorist financing issues. A number of instruments, captioned "Safekeeping Receipts," that altogether total a sum in excess of two billion US Dollars ($2bn), are being represented, by certain parties in Miami, to be genuine financial instruments issued by Banco Industrial de Venezuela, a government-owned financial institution, and are being represented as redeemable in Venezuela, at their respective large face values. You can see one of them below; they were made available to me for the sole purpose of ascertaining whether they are legitimate. I conclude that they are fraudulent documents, rife with defects and flaws, and are not legal obligations of the Banco Industrial de Venezuela. 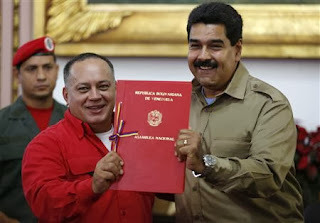 (1) The document is written in English, notwithstanding that Spanish is the language required on all official documents in the Bolivarian Republic of Venezuela; First Red Flag. (2) The grammar, punctuation and spelling are abysmal; I suspect that it was translated from the original, but whoever performed the translation was not a native English speaker; Second Red Flag. (3) They have all expired, which leads the reader to conclude that, even if they were, by some stretch of the imagination, legitimate, they are no longer valid and enforceable; Third Red Flag. 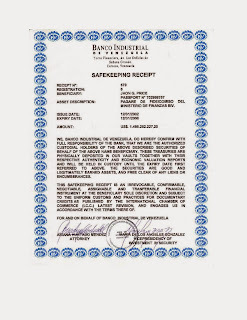 (4) Note that one of the purported signatories, Maria de Los Angeles Gonzalez, was charged, in the US, with receiving bribes, to direct business to a specific company. Fourth Red Flag. These "instruments" are obviously worthless, and it is hoped that no private investors in America have purchased an interest in them, for any attempt to redeem them would not only be fruitless, but could very well result in the applicant's arrest and incarceration in Venezuela, on criminal charges, for seeking to defraud a government financial institution. Fraudsters in possession of these bogus documents could also seek to post them as collateral, and obtain loans from US banks, or private lenders, so I am posting all the copies in this article for your information, directing special attention to compliance officers at banks in South Florida. 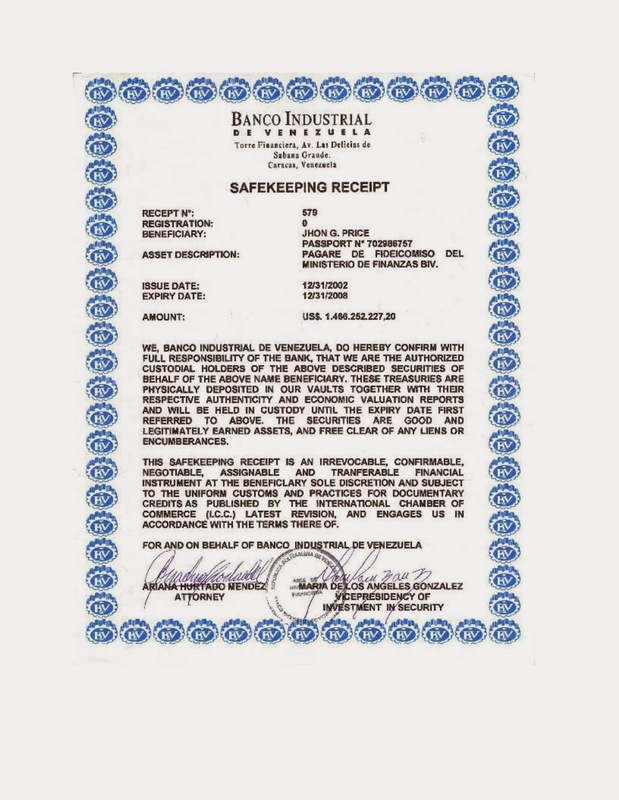 The documents are reportedly in the possession of an individual, who is a Pakistani living in Miami, holding a Canadian Passport, named Karim Pirani, and who claims that they are legitimate obligations of the Banco Industrial de Venezuela. Mr. Pirani's photograph appears in this article. He allegedly has already tried once before, unsuccessfully, to cash in the documents in Venezuela. Please consider this fair warning to investors, or professionals, who may be approached, to purchase, or to assist in redeeming, these bogus documents, to avoid any involvement, at all costs, as they cannot be legitimate obligations of Venezuela. What should the consequences be, when a lawyer conceals a felony Federal drug conviction, and continues to represent criminal clients in another jurisdiction ? We have previously covered the attorney disciplinary case, pending in Massachusetts, involving attorney Michael Burnbaum, a former Federal prosecutor who was a criminal defense lawyer in Miami. The Supreme Judicial Court of Massachusetts, that state's highest court, has entered its ruling. 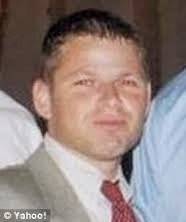 You may recall that Mr. Burnbaum was representing a client in a Federal criminal case in New York, when it was learned that he had a conviction for Possession, with Intent to Distribute, Cocaine, and that he had served a lengthy sentence for that crime. He was still licensed to practice law in Massachusetts, as he had failed to notify the authorities there of his conviction, which is a violation of state bar rules, and Massachusetts was unaware that he had resigned from the Bar in Florida, due to his conviction. A single judge, sitting on the Massachusetts court, subsequently imposed a penalty of a three-year suspension, once the felony conviction had become known in that state. The penalty was appealed, and the full Massachusetts Supreme Judicial Court, finding no mitigating factors present, last week vacated the prior ruling, in an extensive decision, and remanded the case down to County Court, for entry of an Order of Disbarment. 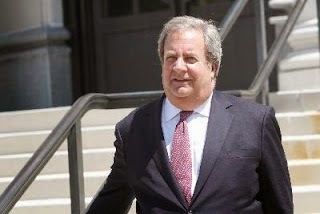 for those who may feel that disbarment was too extreme a remedy, media in New Jersey have reported that Mr. Burnbaum was an unindicted conspirator in a recent $6m Federal fraud indictment, in District Court in New Jersey, involving a Facebook IPO investment scam. He is shown as "MB" in the court filings, and sufficiently identified to leave no doubt that it is he. The National Assembly of Venezuela has passed a law that empowers President Maduro to govern by decree for a period of twelve months. In essence, he can now bypass the Assembly, and rule by Presidential Decree. Though his powers are supposed to be limited, when the late Hugo Chavez was allowed to rule by decree, in the past, his actions routinely exceeded what most Venezuela political observers expected. How far will Maduro go with his new, unlimited powers ? (1) Whether financial institutions will be nationalized. Chavez repeatedly threatened to take this action, when he was in office, and once promised to nationalize the entire banking sector. (2) Whether the rampant crime, which local law enforcement clearly cannot control, will be the excuse for decrees resulting in the curtailment of human and civil rights, resulting in a police state, rising out of what was once a democracy. We shall be watching the Venezuelan scene closely this week, to ascertain the reaction of the opposition to what will surely be a large number of decrees, issued from the Presidential Palace. WILL NEW CHINESE OIL AGREEMENT WITH VENEZUELA FACILITATE SANCTIONS EVASION ? 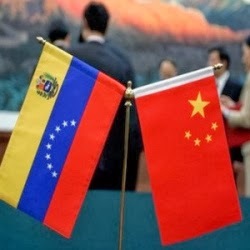 Some of the most important provisions of China's new $5bn loan program for Venezuela are not being disclosed to the public, but they could facilitate the widespread evasion of current sanctions laws. The $5bn funding, part of an ambitious $20bn loan program, has some extremely disturbing strings attached. In exchange for this new infusion of funds into the Venezuelan Government, China is receiving the right to have complete control over a portion of Venezuela's oil industry. It will be taking over certain as yet unspecified active oil field operations, with the right to extract crude, and to ship it out, on the high seas, to any destination or customer of its choice. Some Venezuelans have opined that the Maduro government has surrendered a portion of Venezuela's sovereignty, especially the position of PDVSA, the national oil agency. (1) Transport and deliver oil to jurisdictions designated or sanctioned, by the United States, the European Union, or even the United Nations. (2) Deliver oil, on behalf of a sanctioned country, such as Iran, thus cleverly evading the letter of the law, as it would be a Chinese, not Iranian, sale, and settle up with Iran later. (3) Use oil shipments, to countries in dire need, for diplomatic gain, as Venezuela has done for some time with the Caribbean island republics. Additionally, the presence of Chinese oil tankers in the region would certainly increase China's footprint, and influence upon, Latin America and the Caribbean. Given China's historical heavy-handed approach to the South China Sea, can we expect to see its navy in the area, protecting its shipping ? We cannot say, but Venezuela may have opened the door to the Caribbean, to increase Chinese influence. (1) Chichakli's Motion alleging Surplusage* in the Indictment: The Government filed a Superseding Indictment. The Court ruled that, anything in the Indictment, and not proven at trial, would be redacted beforse it went to the jury; Rendered moot. 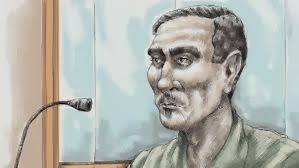 (3) Chichakli's Motion to Dismiss for Vindictive Prosecution: The Court ruled that Chichakli was charged based upon evidence found in Viktor Bout's laptop computer, and because of this evidence, Chichakli cannot show that he would not have been charged, but for the alleged animus; Denied. (4) Chichakli's Motion to Suppress Evidence seized at his residence, and for a hearing: The Court ruled that he offered no affidavits or other statements to meet the "Substantial Preliminary Showing" necessary to obtain an evidentiary hearing to suppress the evidence; Denied. (5) Chichakli's Motion for a Bill of Particulars**: The Court ruled that his Bill was being used "as a Discovery or investigative tool, which is not permitted; " Denied. (6) Chichakli's Motion to modify the Protective Order prohibiting him from sharing trial discovery with his civil attorney from the OFAC case; Denied. (7) Government's Motion to introduce Background Information, and for Rule 404(b) evidence; " Demonstrates the nature, existence and background of the charged conspiracy;" Granted. (8) Government's Motion to Introduce Evidence of Aliases; Granted. (9) Government's Motion to prevent Defendant from re-litigating his SDN designation; Granted, but the Government cannot introduce evidence that infers he was responsible for undermining democracy in Liberia. (10) The Government's Motion to preclude the introduction of certain documents ( newspaper articles and books); Court found them to be inadmissible hearsay; Granted in part; Denied in part. Chichakli cannot introduce the media articles. His request to present charts and time lines will be granted, subject to contemporaneous objection by the Government. Chichakli lost virtually every pre-trial motion he filed; and the Government won all of its motions. Was he just looking for possible reversible error for a subsequent appeal ? 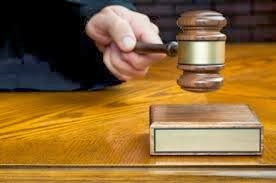 We cannot say, for the defendant is representing himself Pro Se, and he has no legal training or education. Did his Standby Counsel draft them ? We cannot say, but with the trial upon us, the verdict will be here soon enough: stay tuned. * Surplusage: Superfluous facts not necessary or relevant to the case; may include inappropriate allegations with too much detail, or information regarding collateral matters. * Bill of Particulars: A demand to provide the facts alleged in the indictment that relate to the commission of a crime. Valter Lavitola, the confessed "bagman," implicated in the Finmeccanica Italian-Panamanian corruption scandal, has alleged that he has evidence of the laundering of $850m, through the Republic of Panama, with the assistance of Panamanian president Riccardo Martinelli, who Lavitola says received a twenty per cent commission for his role. Coming on top of the existing scandal, where bribes and kickbacks were allegedly paid to Panamanian government officials, including Martinelli, for directing major business to Italian companies, one wonders whether Italian indictments will be issued, before the upcoming 2014 presidential elections in Panama. We are most interested in seeing this evidence, which is reportedly within the custody and control of Lavitola. Apparently, these new allegations affect a number of prominent Panamanian government leaders, and the question persists: will the demands for accountability, being made by the people of Panama, result in any indictments ? 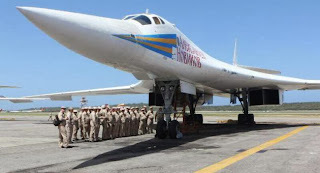 For all you armchair speculators who theorized that the Russian strategic bombers that paid a recent visit to Venezuela and Nicaragua were delivering arms and ammunition for the Maduro government, think again. The aircraft were actually picking up military equipment, sold by Russia, that had not been paid for by Venezuela, a form of legal repossession by a creditor, if you will. This is but one more indication that Venezuela's government is rapidly becoming insolvent, meaning that it cannot pay its debts as they come due. In an effort to win votes, it has subsidized prices of consumer goods for the poor, and in doing so, has failed to pay money owed to the private sector, and drained large portions of public accounts, solely for political gain. The question everyone has been asking is: how long will it be before the Venezuelan economy implodes, bring with it widespread food shortages, out-of-control unemployment, massive closing of small businesses, and a total absence of US Dollars for imports ? 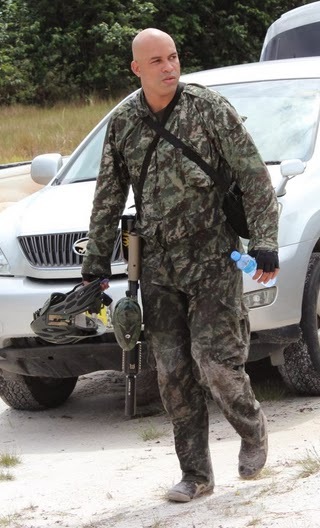 Dino Bouterse, the son of the President of Suriname, Desi Bouterse, and the former head of that country's anti-terrorism unit, has been charged, in the United States*, with setting up new Hezbollah operations in Latin America. He allegedly offered to allow Hezbollah fighters to have a permanent base in Suriname, where they could train, and plan attacks against the United States. He also attempted to supply Hezbollah with weapons. (1) Allow Hezbollah agents from Lebanon to enter Suriname, through Trinidad. (2) Distribute false Surianamese passports to approximately 40 Hezbollah members. (3) Arrange for them to get US visas, so that they could travel into the United States. (4) Set up banks accounts for the Hezbollah agents. 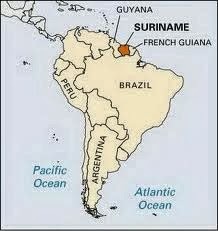 (5) Provide them with weapons and a secure training site inside Suriname. Bouterse received a two million dollar down payment from individuals whom he believed to be Hezbollah officials. Already facing a possible life sentence on the previous charges, the defendant could get an additional fifteen years on the terrorist support charge. Suriname's proximity to Hezbollah operations in Venezuela is a cause for concern. Fortunately, Bouterse will not be able to implement his plan for a Hezbollah unit in his country. * Case No. : 13-cr-00635-SAS (SDNY). 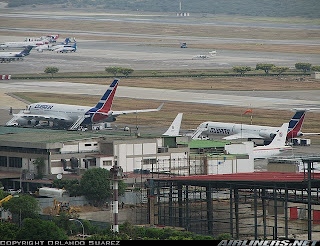 Ramp Four* (Rampa Cuatro) at Venezuela's Simón Bolívar Maiquetia International Airport, formerly the gate through which the late President Hugo Chávez Frías flew on his personal aircraft, has seen a huge increase in outbound traffic.Who is leaving the country ? 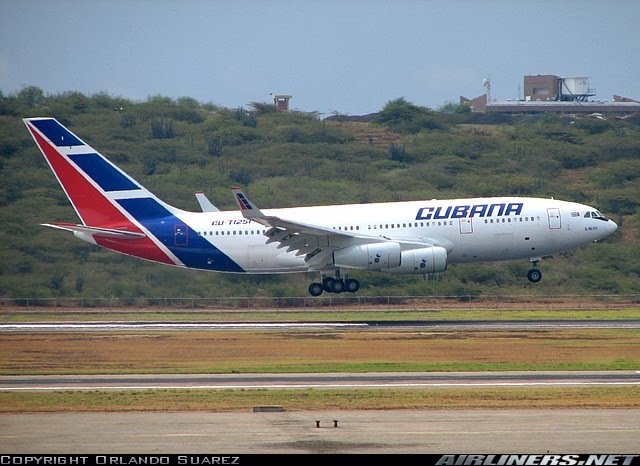 A very large number of Cuban nationals, who were posted and stationed in Venezuela, but are now returning home. What does that tell you about the political and economic conditions inside Venezuela ? 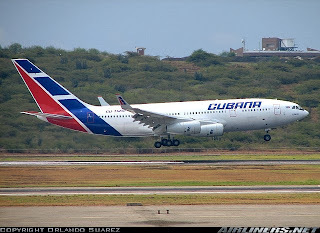 Cubana Airlines flight are extremely busy transporting Cubans back to Havana. 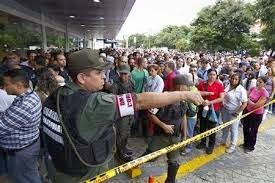 Given that there can be no departures without official Cuban travel orders, this exodus of advisors, bureaucrats, intelligence officers posing as doctors, teachers, bona fide medical staff, and sundry police and military liaison officers, means that Havana is losing confidence in the Maduro administration's ability to stay in power. Cuba, which was caught flatfooted when US troops invaded Grenada in 1983, and lost 120,000 troops in Angola,** may be reducing the size of its nationals inside Venezuela, because it fears a regime change, and does want some of its more valuable nationals arrested, or harmed, should an anti-Chavista government come to power. This is the first sign that Cuba has recognized that the Venezuelan regime is unstable, and could fall. Country Risk should be increased accordingly; if you do not already consider it to be high, increase your rating, and minimize your financial exposure immediately, wherever possible. * Ramp Four is an independent area with no customs facility, and does not operate under the orders of the airport's Control Tower. This arrangement allows foreign nationals, such as from Iran & Syria, to enter without any formal record of their arrival in-country. It is known that Hezbollah Latin America cadre entered here, carrying Lebanese and Syrian passports; they later acquired Venezuelan Cédulas (national identity cards) and passports, through the cooperation and assistance of Venezuelan government agencies. ** The Castro regime in Cuba never publicly revealed the loss of life, and classified that information, so that the public would be ignorant of the fiasco. 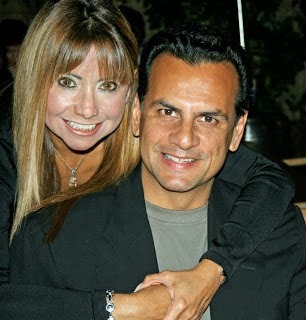 Kimberly Rothstein, wife of master convicted Ponzi schemer/ Fort Lauderdale lawyer, Scott Rothstein, filed a Petition for Dissolution of Marriage, days before she was herself sentenced to eighteen months in Federal Prison. Readers of this blog know that she began serving her sentence immediately after she received the 18 months, as her sentencing had been repeatedly delayed, to give her an opportunity to render Substantial Assistance to the authorities, and obtain a downward departure from the Sentencing Guidelines, which though advisory ate generally followed. In her petition, she asked that she be indemnified and held harmless from the Internal Revenue tax Liens, which are a reported $10m. The court file*, which was not made public until after she began her incarceration, also contained her request that her maiden name be restored; she alleged that the parties have no assets. To date, there has been no sentence reduction awarded to her husband Scott, who is serving a fifty-year sentence in an undisclosed location. *In Re: The Petition of Kimberly Rothstein, Case No. : FMCE-13-01457 ( Div. 33), Broward County Circuit Court. If you are advising an international investor who is interested in operating in the Republic of Panama, you may want to advise him to look elsewhere. Local law enforcement authorities in Panama City are declining to accept, for filing as criminal charges, any financial crime complaints, if the complainant is a North American or European national. They have effectively denied investors the ability to charge Panamanian nationals with white-collar crimes, if the victim is not from Latin America. When you add this to recently passed legislation that reportedly allows the Government of Panama to seize and confiscate assets of foreign nationals, you have a recipe for a Country Risk disaster. A foreign investor who becomes a victim of a major white-collar crime cannot obtain redress in the criminal court system. The civil side, with its generally corrupt judiciary, reaching all the way up to the Supreme Court of Panama, is not much better. Civil cases linger for years, without ever being set for trial, and bona fide claims are mysteriously dismissed; the rule of law seldom prevails. It's a dirty little secret that nobody wants to discuss: the fact that PEPs, especially the children of prominent leaders, are often officially issued valid identification under an alias, which they use to conceal the fact that they have a close blood relationship to a foreign government official. It is particularly galling when our own governments facilitate the deception, by knowing the truth, but keeping the secret, in order to maintain smooth diplomatic relations with another country. Foreign university students, whose true identities are conveniently hidden, are a prime example of the deception. When a PEP uses one of these "valid" aliases, your due diligence is not only ineffective, you end up assigning a low risk profile to these individuals, which allows them to potentially move money or assets in the future, once a reasonable period of time elapses, and they merge into the mass of established, but now undistinguished, bank clients. This poses a serious threat to the bank. Nowhere is the problem more prevalent than in such countries where there is a clear distinction between upper-class PEPs, and the rest of the local population. How does one identify a hidden PEP who is concealing his or her identity ? (1) Search websites, in local language, in the bank client's home country, for the alias, especially image searches, which should return a positive if the name is legitimate. (2) Check the websites of the client's purported business, industry, or professional association. Did you find him ? (3) You may accidentally run into a photo with the client's true identity, particularly if the client is upper-class. Try the charity and social event websites, especially those profusely illustrated with photographs. Pictorial spreads from wedding receptions are also fertile resources; these appear in the society pages of local newspapers; look for them in the city where the client says he lives. Admittedly, uncovering the real name of a PEP with a well-documented alternative identity is not easy, but you do not want to find out, too late, that they cleverly moved bribe or kickback money of their relative or associate through your bank when you were not looking, and it comes out in an FCPA instigation; Watch yourself. 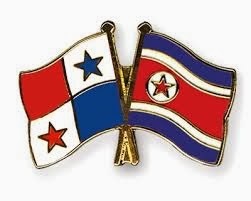 Those American banks who have not yet ramped up their compliance to Enhanced Due Diligence levels for Panamanian transactions, especially when receiving or transmitting larger sums, be advised that some Panamanian banks have been engaging in illegal financial commerce with the Democratic People's Republic of Korea (DPRK), more commonly known as North Korea, which is a designated state sponsor of terrorism. (1) Closely examine all large transactions with Panamanian banks. (2) Check to make sure that no dual-purpose goods are being purchased. (3) Ensure that the purchaser is not a front company, or straw buyer, with no office, employees, assets or physical brick-and-mortar location. If you have the names of officers or agents, check them out as well. Who is the purchasing company ? for that purpose. North Korea would be paying a premium to any cooperating bank, and also paying over market price for its purchases. Are the buyers overpaying ? 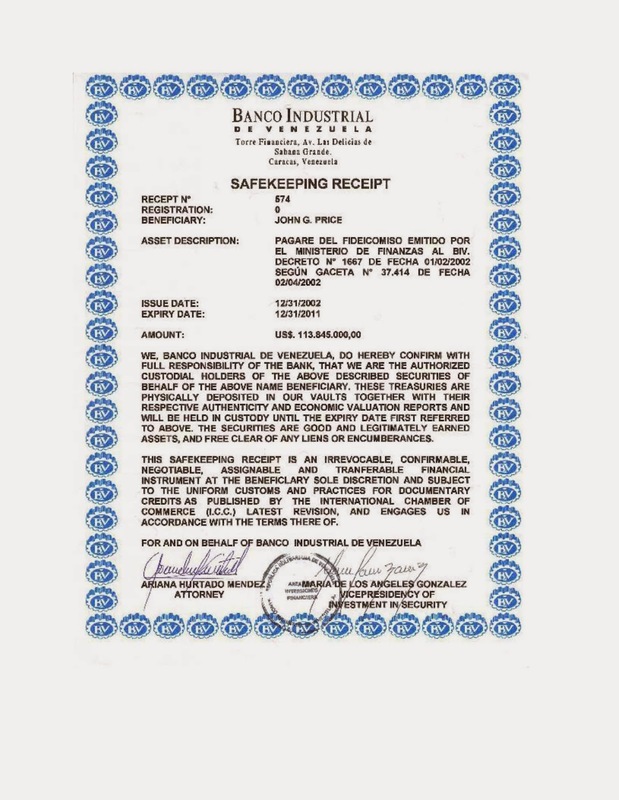 (5) Payments for shipments of goods to Venezuela deserve special attention, as its government has a close relationship with North Korea, and may have a standing agreement to transship the goods there. There are a number of non-transparent routes for funds into Venezuela, making your compliance task all the more difficult. 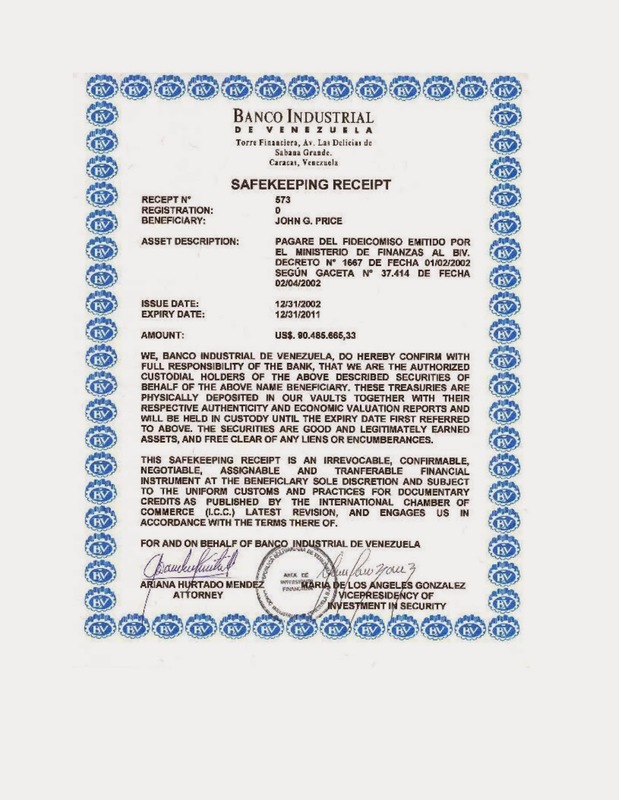 I am not raising the issue of facilitating transactions for goods whose end user is North Korea for academic reasons; this activity is ongoing, and you need to be aware that transactions with all Panamanian banks and NBFIs therefore have a higher degree of risk than I like. Remember my recent article detailing Peruvian counterfeiting of US currency ? We now know the entry point for these bogus bills. A trusted source has advised that a skilled Peruvian counterfeiting ring has delivered a large number of bogus one hundred dollar bills to South Florida. The gang, which is led by a Peruvian family of Chinese origin, apparently has ramped up their operation of late. The latest legitimate edition of the bill, which was recently released, has additional anti-counterfeiting features, and this may have stimulated the counterfeiters to print and distribute their version. American bankers, govern yourselves accordingly. Kimberly Rothstein, the so-called trophy wife of convicted master Ponzi schemer/attorney Scott Rothstein, was sentenced today to eighteen months in Federal Prison, for secreting some of her most valuable jewels, and having them sold off secretly, to avoid their confiscation by IRS, or the court-appointed receiver, seeking to assemble assets to reimburse Ponzi victims. Thus new disclosure could affect Mr. Rothstein's ability to obtain a reduction in his present 50-year sentence. revealed that he had been physically ands emotionally abused by Scott Rothstein. Mrs. Rothstein faced a maximum sentence of five years, but she rendered Substantial Assistance in a related case, where the defendant pled guilty before trial, most likely because she will willing to testify against them. She did not get the customary delay in surrendering herself to begin serving her time, given to most defendants who receive short sentences, probably because she had delayed her sentencing for several months, until the other case was ready for trial. Is eighteen months insufficient for someone who enjoyed the fruits of her husband's billion dollar Ponzi scheme for several years, and conspired to hide assets from the victims, even going so far as to tell her imprisoned husband to lie under oath about the disposition of the twelve carat diamond ring ? I will let you be the judge. The Government of Venezuela, claiming that it charges exorbitant prices to its customers, has seized all the electronic appliance stores of a major retail chain. Once it gained physical control, using armed National Guard troops, electronic goods in those stores were sold, to a massive amount of consumers, at seriously discounted prices. Venezuela's inflation rate, which could exceed 100 percent this year, and the increasing sixty to one unofficial Bolivars/dollars exchange rate, has resulted in prices for imported goods that are out of the reach of most Venezuelans, who have no access to dollars. The fact that municipal elections are coming up in December has been considered as the motivation for the seizures, to win over a population that has largely had to do without, due to the collapsing economy. The President of Venezuela has warned that there will be governmental takeovers of other retail stores, an announcement that will send Country Risk levels skyrocketing. The stated grounds for the seizure, price gouging by retailers somehow linked to the United States, has definite political overtones. President Maduro appears to be trying to distract Venezuelans from the economic chaos, by offering them a target for their anger. The backstory, however, is much more interesting; though government-controlled Venezuelan media has proclaimed that the owners lived in Miami, they are based in the Republic of Panama, where they have a huge store, allegedly containing more than $500m in merchandise and other assets. One wonders how they acquired so much capital, given the ailing Venezuelan economy. Their original store was in the Venezuelan city of Valencia, and the owners reportedly had links there to Walid Makled, one of Venezuela's most powerful drug kingpins, before his arrest in Colombia, and extradition to Venezuela. Their reputed relationship with Makled, who did business with the FARC and the Cartel of the Suns, is reportedly under investigation. The Panama City store is reportedly connected to Panama's principal organized crime group, which regular readers of this blog know is operated by Panamanians of Middle Eastern descent, and who are mainly Syrians and Lebanese. The company that owns the appliance stores uses a bank in Panama City, which is a wholly-owned affiliate of its Venezuelan parent, and is believed by many Panamanians in the local financial industry to be engaged in drug money laundering. The questions that are being asked in Panama: have the owners of the electronic appliance chain made so much money in their "parallel" business, that they can absorb the total loss of the inventory in their Venezuelan stores ? Did they actually encourage the Government of Venezuela to take over their stores, and was there some unwritten agreement to aid the Maduro government ? Reports from Russia indicate that convicted arms trafficker Viktor Bout, who lost his appeal to the Second Circuit, has requested that the Government of Russia cover the legal expenses of a Petition for Certiorari to the United States supreme Court, and for representation in his quest to reduce the severe conditions of his confinement. Bout is currently serving his 25-year sentence in a high security setting, where communication with the outside world is deliberately restricted. Questions have been raised as to why he was placed in a controlled environment specifically designed to prevent terrorists from passing instructions to their confederates, for there are no such allegations in Bout's case. Whether this type of confinement constitutes cruel and unusual punishment is an issue raised by his counsel. Alexey Binetsky, his new Russian attorney has stated that the costs will be approximately $1.5m, and that he needs a retainer of $250,000, to engage the firm he has selected. Most Supreme Court observers believe that he has only a small chance that his case will be heard, especially on his principal issue, whether his case constitutes Vindictive Prosecution. He has no appeal as a matter of right, only the right to file a petition, asking that the Court accept the case. With a reported tens of thousands dead in the Republic of the Philippines, due to the 195mph impact of Typhoon Halyan, relief programs will be ramping up on a global basis forthwith. What you as a compliance officer must always be mindful of, though, is that terrorist financiers are constantly looking for targets of opportunity, through which they can successfully move funds to their clients. While you are encouraged to expedite all relief funds payments directed at the victims of the typhoon, remember well that there are terrorist organizations in the Southern Philippines. 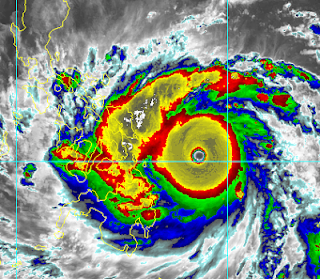 Funds ostensibly earmarked for typhoon relief could be diverted, and end up in their hands, in the chaos surrounding such a major natural disaster. (1) Are the charities and NGOs who are sending funds known to you ? (2) Is your NGO bank client a newly-formed entity ? (3) Is it a previously-inactive organization that is now well-funded, and seeking your assistance ? (4) Is it not known to you, but has a name deceptively similar to that of a major charity or NGO ? (5) Is the funding coming to you from a jurisdiction or source that you would not normally expect disaster relief funds from originating ? Never let your guard down, just because it is urgent that you transmit funds to the needy. Always step back briefly, and look objectively at the issues, before initiating disaster relief funds;, lest you unwittingly fund a terrorist organization's arms and supplies. The Russian attorney, Alexey Binetsky. 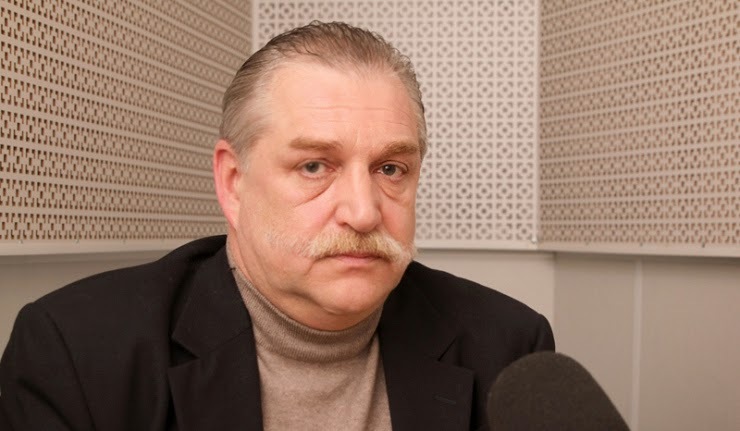 Alexey Binetsky, the Moscow-based lawyer who is now representing convicted arms trafficker, Viktor Bout, has stated that he intends to seek a reversal of his client's conviction in the US Supreme Court, and a remand back to the District Court, for a new trial. (1) A reversal of his conviction, and 25-year sentence, on the grounds that he was the target of a "Vindictive Prosecution. " Reversal on this ground is, frankly, rarely granted, and the burden of proof extremely high, in order for Bout to prevail. There has been no such showing in the past, though Binetsky has hinted that he will produce some newly discovered evidence, to prove up his client's innocence. One wonders why is it coming to the fore now. (2) A reduction in his inmate custody status, from a special maximum security status, with severely restricted contact with the outside world, to medium security. I do not know how any court will grant that, given that custody determinations are the exclusive function of the Federal Bureau of Prisons, and there may be a jurisdictional issue there. Also, we are talking about the US Supreme Court, to whom Bout's Certiorari Petition, not appeal as a matter of right, must be directed, so unless there is some gross injustice exposed, the Court may decline to allow Bout to be heard. Will the US Supreme Court even accept this case ? We cannot say what this new evidence is, but we shall follow it diligently, and report back to you with all developments., as they occur. Lest you be bedazzled by Iran's public relations whirlwind, and assume that the removal of sanctions is imminent, remember that such an action is directly tied to the termination of the illegal Iranian WMD program. It is not going to happen, as long as all those centrifuges keep refining Uranium. More concretely, Iran's defense minister this week announced the opening of a new facility to manufacture anti-aircaft missiles. Does this sound like a country looking for warmer relations with the West ? The missiles are solid fuel-type, apparently more accurate that the liquid fuel missiles currently in use. 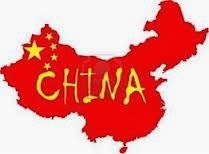 The news this week, that a major media organization has apparently killed the publication of a hard-hitting article on corrupt Chinese PEPs, and on the hiring of the children of PEPs by foreign financial institutions, is bad news for compliance officers conducting due diligence investigations on prospective Chinese clients. There are allegations that such articles have resulted in the denial of entry of foreign journalists, or the renewal of licenses to practice journalism in China. If this becomes a widespread practice, then where will one go to find the blunt truth ? The underground, or alternative sources of negative information about mainland China, especially those from Hong Kong, or blogs, are not mainstream, generally do not vet the accuracy of their information, and do not qualify as authoritative sources. How will compliance know whether that new Chinese businessman client is, in truth and in fact, a corrupt PEP who runs a state-owned corporation, where he accepts bribes and kickbacks for steering business to Western companies, if the articles exposing his crimes in the media no longer are written or published ? Those poses a serious risk management problem for international banks located in countries where anti-bribery and anti-corruption laws are strictly enforced. Will compliance officers now be required to engage China specialists, multi-lingual investigators who will go into China, from Hong Kong or even Taiwan, and bring back the answers that are needed ? Such measures could be prohibitively expensive, add to completion time, and force compliance dependency upon external resources, who may not be able to produce results on a real-time basis. Whenever access to negative information is denied, compliance is ineffective. The consequences of lack of access to critical information from China are greatly increased risk levels, meaning that there will be recommendations, in the future, to avoid those who could possibly be PEPs from China. WHAT DID RUSSIAN BOMBERS DELIVER TO VENEZUELA AND NICARAGUA ? Many years ago, when I was engaged in laundering criminal profits for narcotics traffickers, a number of them entered, and competed in, the Miami-to-Montego Bay Yacht Race. After the race, at least two of the sailboats quietly smuggled drugs back into the United States, notwithstanding the global publicity the media gave to the race, after two of the entrants were briefly seized by the Cuban military, for venturing inside Cuban territorial waters. We call this hide in plain sight; now look again at a recent event, reported here this week. If you thought that the recent visit, to Venezuela and Nicaragua. of two Russian Tu-160 long-range strategic bombers, was merely a "courtesy visit," and a public relations stunt, think again. The costs of fuel, maintenance, and the huge flight crews needed to ferry these aircraft across the Pond and back, do not justify the small amount of publicity that Russia might derive from such a "goodwill visit." No, there's obviously more to the story. 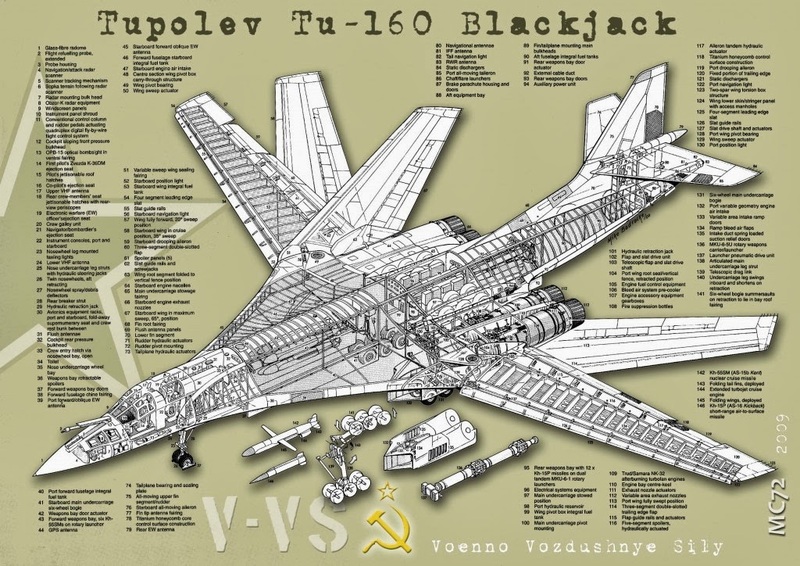 Allow me to speculate aloud; these two bombers, whose purpose is to deliver a knockout punch to an adversary, must have been used to deliver military cargo to Russia's most loyal allies in the Western Hemisphere. You do not incur such a huge expense, without getting some bag for your buck. 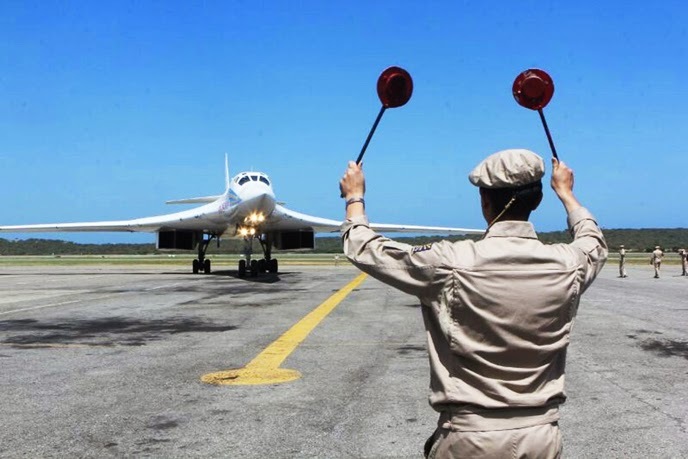 Whether they were missile components, for the newly-completed Venezuelan missile site on the Caribbean coast, or even nuclear materials, is not known, but I assure you that those bombers disgorged important cargo to friends of Russia. A court in London has entered an order prohibiting Barclays Bank from exiting its account relationship with Somalia's largest money service business, notwithstanding that the MSB has verifiable ties to Al-Shabaab, a designated terrorist organization. Have the judges taken leave of their senses ? Al-Shabaab received payments from the MSB, and used its accounts to move money given to it overseas, to finance its terrorist activities, including the targeted assassination of Somali officials. The evidence is clear and convincing. Claiming that the interruption of services by Barclays would seriously damage the lives of Somalis receiving remittances from abroad, the Court basically trumped countering the financing of terrorism, upon humanitarian grounds. What's wrong with this picture ? So long as counter-terrorism takes a back seat to politics, terrorist organizations will continue to thrive. Should an Al-Shabaab terrorist cell commit a violent act in the United Kingdom or the United States, as it has recently threatened, the folly of this court ruling will become apparent. Meanwhile, terrorists in Somalia are free to operate, thanks to a misguided court ruling. 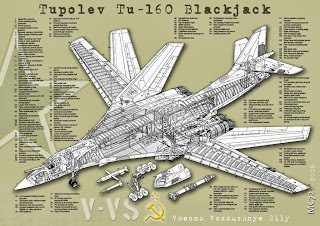 The high-profile visit, to Venezuela and Nicaragua, of a pair of Russian Tupolev-160 long-range strategic bombers, caused increased tensions in the region when the aircraft violated Colombian airspace over its island territories, without requesting transit permission in advance. Colombia immediately scrambled a pair of Kfir fighters, which escorted the bombers until they departed Colombian airspace. This was clearly not an accidental intrusion. Colombia is a long-time ally of the United States, and Russia supports the left-leaning regimes in Venezuela and Nicaragua. The United States, and its allies,were aware of the flight of this pair of Russian aircraft into Latin America, as they has been shadowed by NATO aircraft while off the coast of Norway. Incidents like these only serve to not only increase regional tensions, and strain international relationships, they pose a clear and present danger of deteriorating, from an armed confrontation, into violence, whether through intentional action, or accidentally. Latin America does not need to become a region where global powers test each other. Any further Russian-initiated incidents could affect Country Risk. This is the last thing Latin Americans need to see. 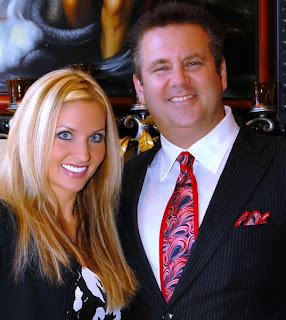 Next Tuesday, November 12, the wife of convicted Ponzi schemer, Scott Rothstein, Kimberly Rothstein, will be sentenced in US District Court in Fort Lauderdale. Her sentencing had been postposed several times, at her request, to allow her the opportunity to testify against the jewelers who assisted her in hiding, and selling, jewelry that had been purchased for her by Mr. Rothstein, with the proceeds of his Ponzi scheme, and the numerous delays, due to delays in the other trial, appeared to have irritated the Court, for it recently gave her what was described as a final rescheduling of her sentencing. The individuals against whom she was to testify eventually entered a plea of guilty, and the potential availability of a witness often causes a defendant to plead out at the eleventh hour. 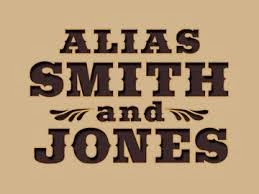 Such assistance, though it never involves actual testimony, is often credited as such, in favor of a cooperating witness.
" The Defendant has provided Substantial Assistance in the investigation or prosecution of another person who has committed an offense." The United States Sentencing Guidelines, 5K1.1, authorizes a downward departure for Substantial Assistance. Though the Court has previously pointed out that the nature of Mrs. Rothstein's offenses meant that she was not going to avoid prison time through her cooperation, she will most likely receive a short sentence, as the result of the US Attorney's motion. A letter, sent by the United States Attorney's Office in Manhattan, to the Court, in the Chichakli case, has given us a window into the upcoming trial, and what the defendant's intentions appear to be. 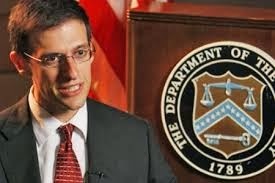 Richard Chichakli, who is acting as his own attorney (Pro Se), in his New York trial on sanctions violations, intends to call Adam Szubin, the present head of the Office of Foreign Assets Control (OFAC), in his defense. He also has listed three Special Agents of the FBI, an Assistant US Attorney, and two individuals in the private sector, in aviation. A fair reading of the pleadings in the case indicate that Chichakli's defense centers around his theory of Vindictive Prosecution, meaning that he was unfairly and illegally targeted, as the result of his association with convicted arms trafficker Viktor Bout. Evidence obtained in Bout's laptop computer will reportedly be used against him at trial, as well as information on the Defendant's own computer, which was seized at his arrest in Australia. The Court has still not ruled on the Government's Motion in Limine, to exclude certain testimony and evidence that Chichakli plans to introduce. The trial will probably begin later this month, and we shall continue to update our readers on all developments as they occur, in what promises to be a very interesting case in the courtroom. Hopefully, it will not degenerate into a forum for Mr. Chichakli to expound on his interpretation of OFACs alleged errors in sanctioning him, or a personal attack on the US Government, but things could get ugly.